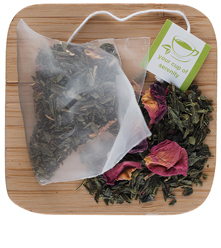 Japanese sencha blended with rose petals and cherries - all the flavors and aromas of a spring orchard. We mix healthy Japanese sencha with rose petals and cherries to give you an enticing blend that is packed with the soothing aromas of a walk through a spring orchard. 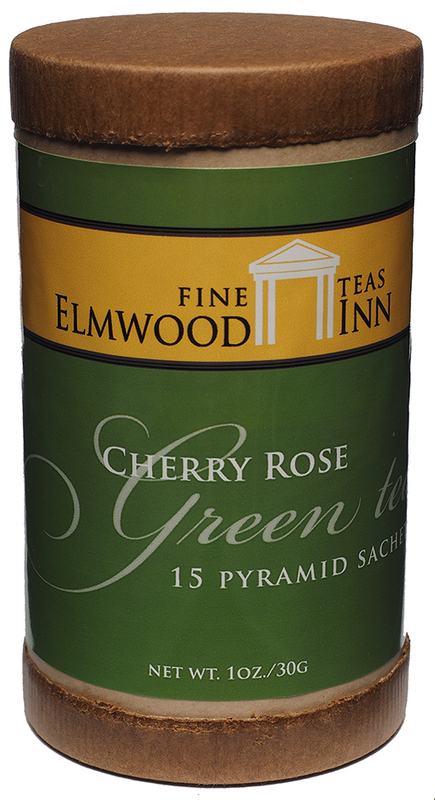 This is one of the best offerings from Elmwood and caused me to try their other teas. 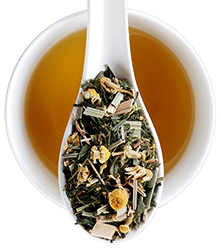 A very unique flavored tea with good quality and delicate flavor but still strong enough for a second brew.Excellent value and something new to try if you are looking for a green tea to drink every day. Also good cold. This is actually a very tasty tea. I had hoped that it would have a bit more of a floral taste to it from the rose but this is a fine tea. I enjoyed drinking it. I got this tea just to try something new, and it is by far the best green tea I have ever had. 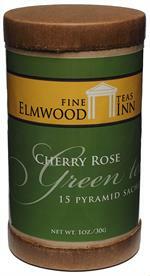 The cherry isn't over powering and it has a delicate floral flavor from the roses. The cherry flavor isn't noticed at first, but on the after taste the cherry sits on your tongue. 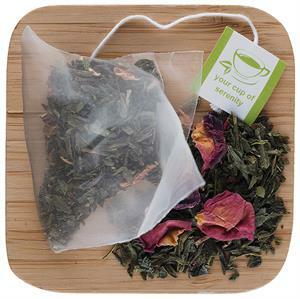 I would recommend this tea to anyone who wants something new to try, or anyone who is just getting into loose leaf teas. I will surely be buying this again and again.